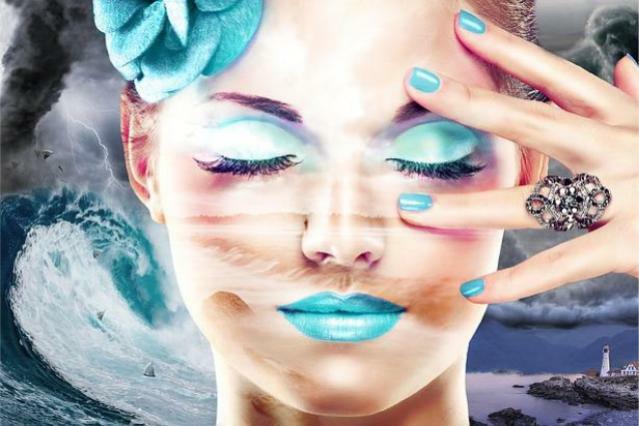 If you’re looking for the best hyaluronic acid products to give your skin that extra boost in moisture then take a look at some of the following popular choices. Hyaluronic acid is an excellent ingredient when it comes to anti-aging especially with its ability to retain high levels of moisture so it’s no wonder that it’s become a popular serum choice all on its own. 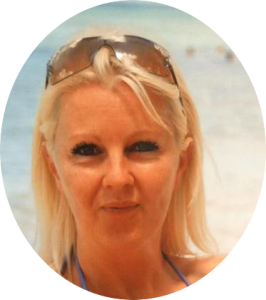 Finding a good one, however, is not necessarily as easy as you may think as I mentioned before in this post about the benefits of hyaluronic acid and with so many out there to choose from the task becomes even more of a challenge. But to save you some time and make things a little easier, I’ve put together a small selection of some of the best top rated serums that are all considered to be extremely effective hyaluronic acid products. Although Skinceuticals is considered quite an expensive brand, I personally love most of their products despite the higher price tag so it was no surprise for me to see that their Hyaluronic Acid Serum was right up there with the top favourites. 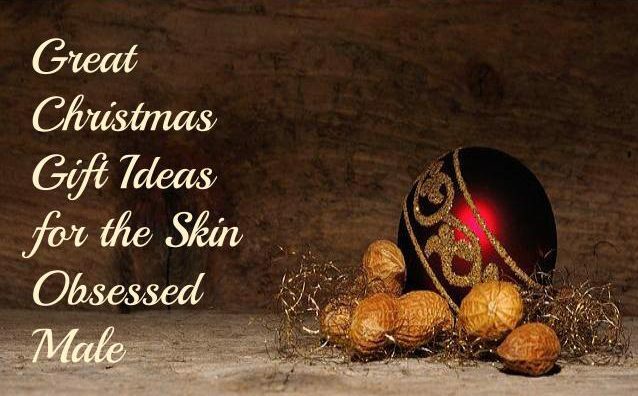 The Skinceuticals H.A. (hyaluronic Acid) Serum is said to be a corrective serum that can help with surface hydration and amplify the skins hyaluronic acid levels by 30%. It contains 1.3% hyaluronic acid in the form of sodium hyaluronate, the patented molecule Proxylane and botanical extracts of licorice root and purple rice to help maintain hyaluronic acid levels in the skin. This, in turn, improves skin plumpness which helps the skin to look firmer and smoother and reduce the appearance of fine lines and wrinkles. It has a unique serum-gel type texture and is suitable for most skin types although it is worth mentioning that it does contain alcohol denat which may turn some people off it. The Replenix Pure Hydration Hyaluronic Acid Serum is another great choice that contains various molecular forms of Hyaluronic acid. The forms include fractionated weight which is a lower weight molecule that’s better at penetrating deeper into the skin and has better regenerating effects and high molecular weight which has a better hydrating effect on the surface of the skin. Both forms combined make it a seriously hydrating serum. 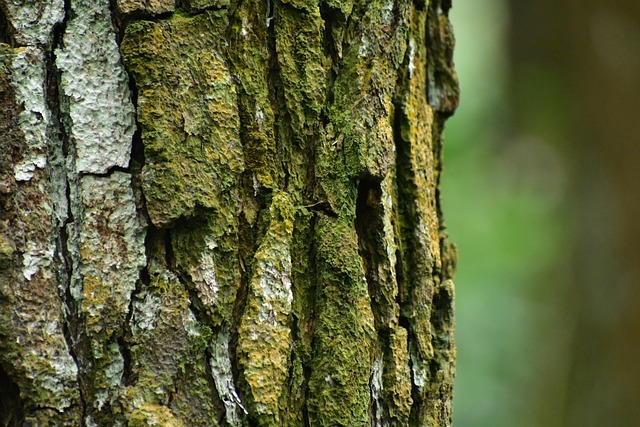 It also contains powerful humectants (sodium PCA and glycerin) which bind moisture and help to maintain the skin barrier and Palmitoyl Tripeptide-28 which supports healthy collagen production. Also present is an Essential Mineral Complex of Zinc PCA and Copper PCA which helps to condition skin and reduce excess oil as well as a nourishing blend of antioxidants to help protect the skin from free radical damage. This serum is incredibly hydrating and with continued use is said to visibly reduce the sign of aging and leave the skin looking brighter, firmer and rejuvenated. 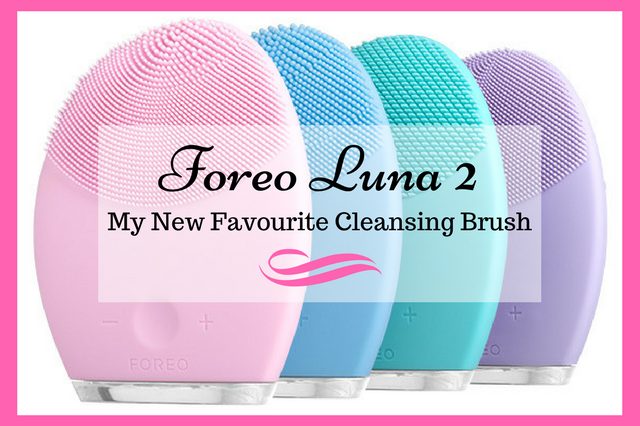 It is suitable for all skin types and with its allergen-free formula is said to be ideal for those with even sensitive skin. The SkinMedica is a very high priced serum that still seems to be a firm favourite despite the large price tag (although it is a larger than normal bottle). This serum actually contains numerous forms of hyaluronic acid, in fact, 5 to be precise hence its name HA5. It contains time release HA which is a SkinMedica proprietary ingredient for sustained release of HA, sodium hyaluronate for instant hydration, uncross-link HA for smoothness and hydration, nano-HA to sooth skin and cross-link HA which is said to provide long-lasting hydration for up to 8 hours. It also contains potent antioxidants, a peptide complex to support rejuvenation and hydration, and polysaccharides for healthy looking skin. All these ingredients combined are said to support the skin’s ability to replenish its own hyaluronic acid as well as instantly smoothing the skin’s appearance so that fine lines and wrinkles are reduced. This serum is also suitable for all skin types but unfortunately not all wallets. 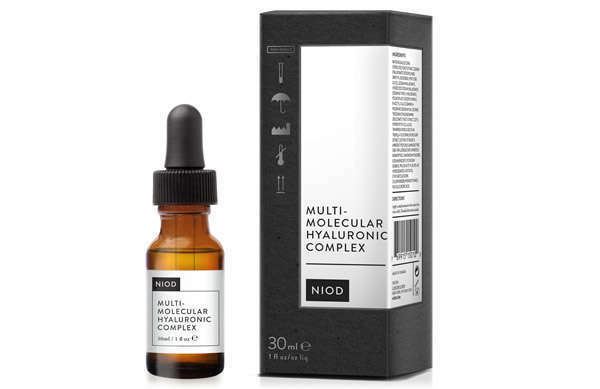 The Niod Multi-Molecular Hyaluronic Complex is another popular serum that’s also suitable for all skin types and is somewhat more reasonably priced if you compare it to some of the others mentioned. It’s actually a little bit difficult to get a hold off as it’s often sold out, at least in the larger 30ml bottle but the smaller 15ml bottle is a little easier to get your hands on. This one also contains numerous molecular forms of hyaluronic acid to the point where I have to say that they really weren’t kidding with the term multi. It contains 15 different forms of hyaluronic compounds and hyaluronic precursors including the rare direct form hyaluronic acid which helps improve elastic appearance. It also uses numerous forms of molecular weight in its formula from very low molecular weight hyaluronic complex (better skin penetration and rejuvenating effects) to high molecular weight (better surface hydration) and a whole host of weights in between which all benefit the skin at different levels. It that wasn’t enough, it also uses a peptide-charged delivery system to optimise the function of the hyaluronic compounds making them more effective. Their peptide delivery system includes flavonoids, phenylethanoid glycosides and amino acids that are said to act as a non-clogging water-protective barrier that also helps support dermal water retention. It’s a little bit technical but all in all, I think you get the gist in that it’s a very effective serum. 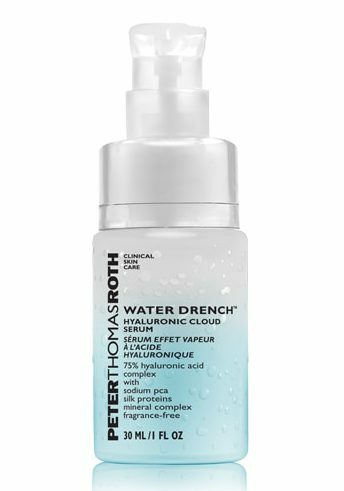 The Peter Thomas Roth Water Drench Hyaluronic Cloud Serum is another favourite in this area. This product is actually a reformulation and renaming of the Viz-1000 serum (hmm I can see why they changed it) and contains the sodium hyaluronate form of hyaluronic acid. Its ingredients are not quite as impressive as the previous serum particularly from a hyaluronic complex point of view but it’s still a popular choice nonetheless. It also contains the humectant, sodium PCA which helps to naturally hydrate the skin as well as a mineral complex comprising of zinc, copper, manganese, iron, and silicon to help increase moisture levels. Its last key ingredient is silk proteins which are a derivative of pure silk in a water-soluble form that helps leave skin with a smooth and soft feel. 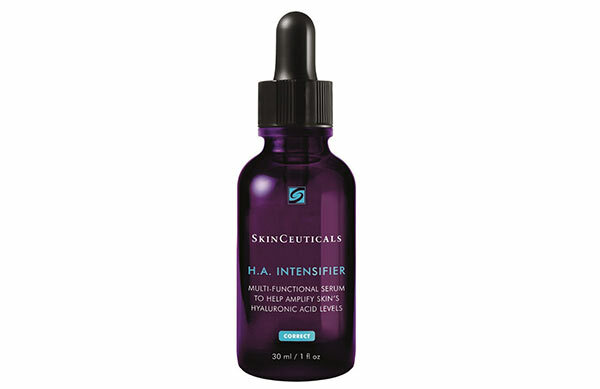 Again, like all the other serums here, it’s suitable for all skin types. 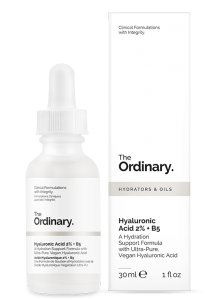 And the last but certainly not least product on the list is The Ordinary Hyaluronic Acid 2% + B5. So there are a couple of things that I should mention about this serum before I go into its ingredients and the first is that it is one of the cheapest serums out there to buy. But I’m not just referring to the big named brands when I say that, I’m including the likes of your cheap amazon hyaluronic acid serums too. 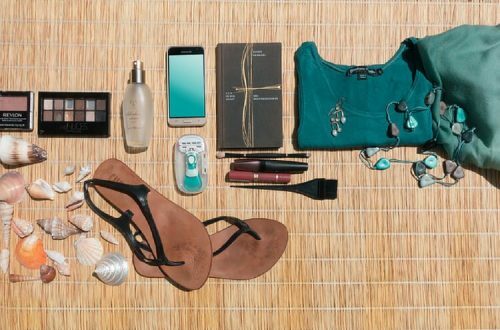 In fact, it’s so cheap and so popular that it’s almost impossible to get your hands on it because it sells out instantly the second it comes in stock. 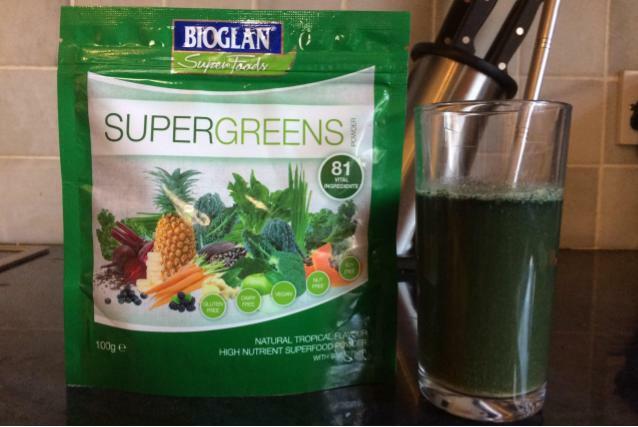 But don’t let its cheap price fool you, it is still considered a very effective HA product. It’s actually made by the same company that makes the Niod serum above but this is what they consider their drug store priced range. Much like the Niod, you pretty much need a chemistry degree to understand half the ingredients in it but to cut a long story short, this serum contains low, medium, and high molecular weight hyaluronic acid as well as a HA crosspolymer for multi-depth hydration throughout the skin. It also contains vitamin B5 which helps to enhance surface hydration and again this serum is suitable for all skin types. To be honest, I find the whole entire Ordinary range intriguing but this serum, in particular, is a seriously sought-after product and at its seriously cheap price, I can completely understand why. If you’re looking for a good hyaluronic product then anyone of the above mentioned would make a great addition to your skincare arsenal. And if you really want to reap the benefits of this kind of product then be sure to apply your serum to damp skin (another great reason to use a toner beforehand) for better absorption and better results. If you use an effective hyaluronic serum that isn’t here that you think deserves a mention then please do feel free to let me know in the comment section below and I may just consider adding it.